Lewis Bailey had been practicing his lip-sync dance routine in heels for weeks so was distraught when teachers said he couldn't take part. He was banned from performing in drag. 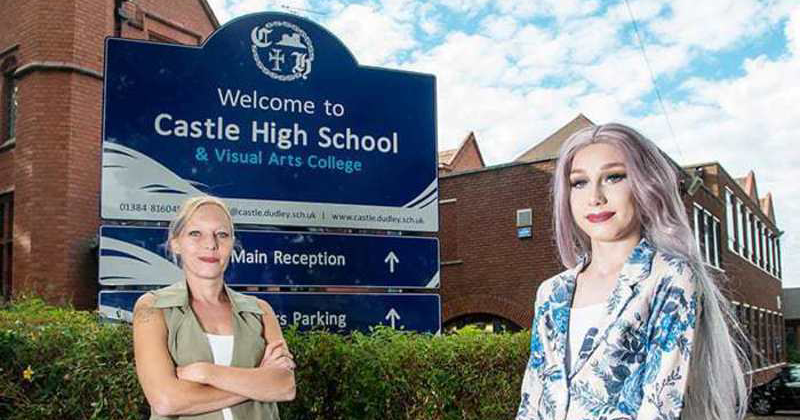 A 14-year-old boy was banned from his school talent show - over a DRAG ACT. Lewis Bailey had been practicing his lip-sync dance routine in his heels for weeks so was distraught when teachers said he couldn't take part. 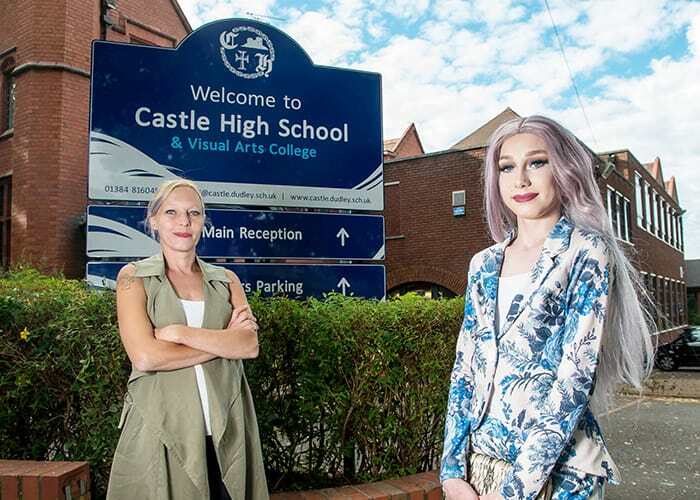 His furious mum Natalie, 37, claims the school's legal team said it was illegal for under 18s to take part in drag act competitions. 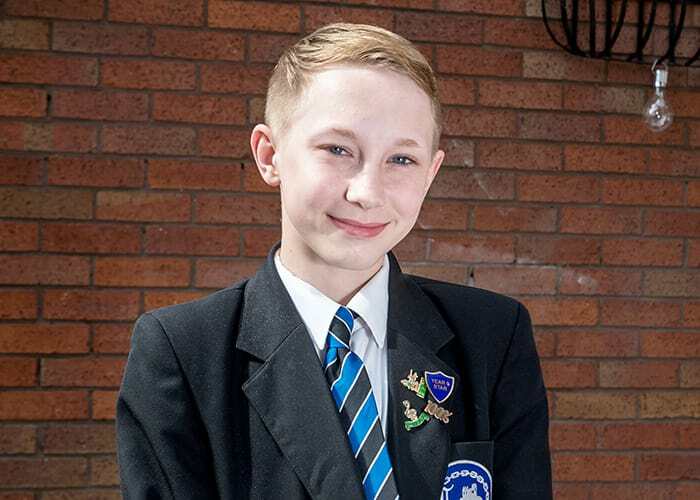 But brave Lewis and his proud family have accused the school of inventing the apparent law in a bid to block his act because they "don't accept him for who he is" Lewis, who is gay, said the snub from Castle High School and Visual Arts College in Dudley - which came a DAY before the contest - has really knocked his confidence. 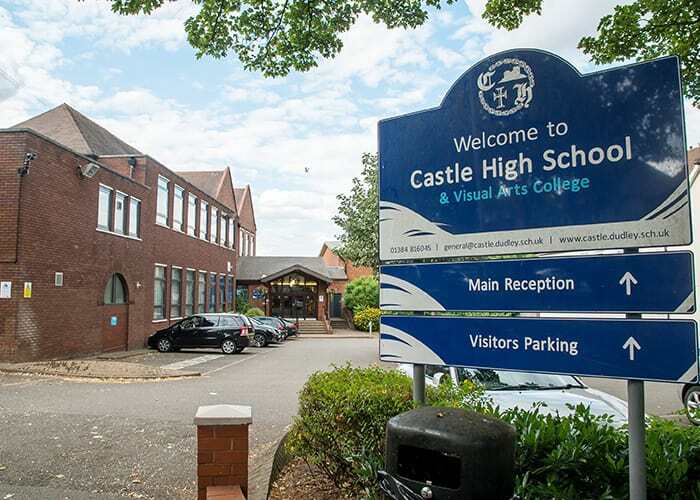 The principal said the school "stands by our belief that it is not appropriate for young people to perform drag acts". The schoolboy said: "They claim it's because it is illegal - but I think the real reason is they don't accept me for who I am. I'm heartbroken and confused. After all the effort I have put into it, it has knocked my confidence a lot. When I'm in drag I feel I'm truly being myself." Full-time mum Natalie added: "I think the school are being judgmental. There's no law over impersonating a female and doing a dance. We can't find anything anywhere that says that, and anyway it's a school talent show, not a competition. The school, it's very multicultural and I think the school think some of the parents won't like it. But people should be able to do what they want to do and be who they want to be. They have really knocked his confidence. They have knocked his confidence to zero." 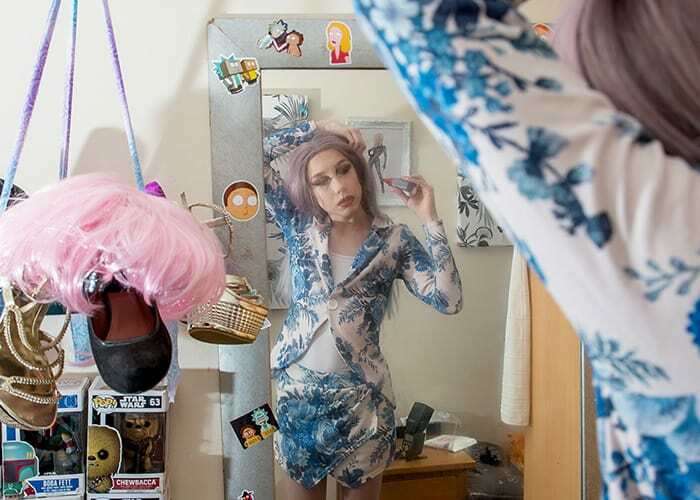 Lewis has loved dancing all his life and decided he wanted to be a drag performer after watching RuPaul's Drag Race. The popular American TV series features talented drag queens lip-sync for a $100,000 prize. 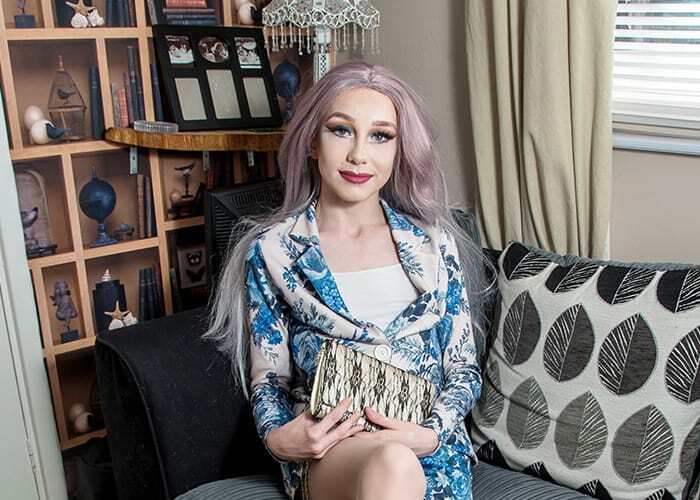 Lewis came out as gay to his mum and stepdad Dale Griffiths, 40, an ambulance driver, last year, and has performed in drag for the family at home. 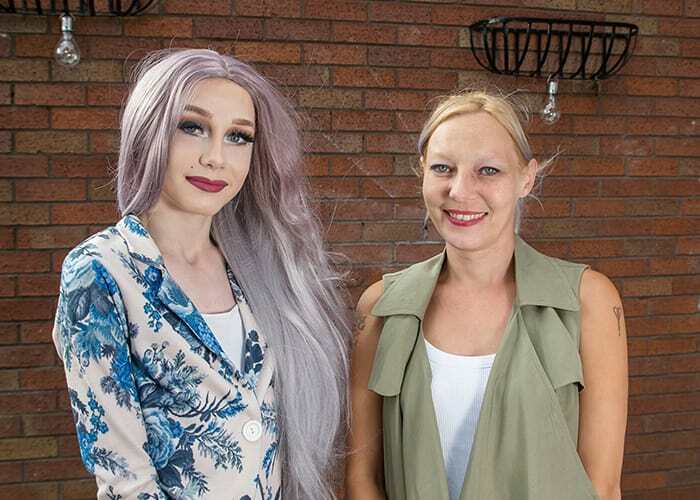 Mum-of-three Natalie said his new hobby - which includes immaculate makeup and choreography - has seen the once-withdraw lad come out of his shell. He entered the talent contest around three weeks ago, and has been practicing at home and with a teacher at school ever since, she said. Lewis' performance was a dance to a medley of tracks he mixed with his stepdad, including songs by Little Mix, Ariana Grande, and RuPaul. He was planning to wear a floral co-ord top blazer and skirt from eBay, high heels his grandmother brought him, and a long silver wig. But he was "pulled out of lessons" and told he couldn't take part on Monday - ahead of the show on Tuesday night, he said. 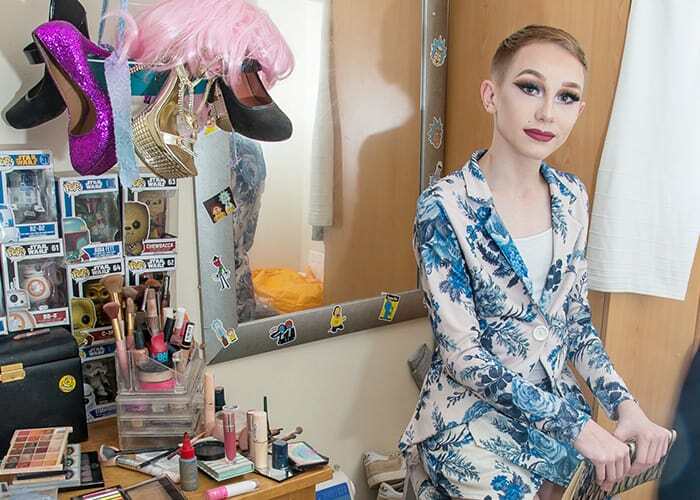 "One of the teachers told him he couldn't do it anymore because the law that says you can't do competitions as a drag act if you are under 18," said Natalie. "This would have been his first performance in front of people in public. His act for the talent show was dressing as a lady and dancing. There is no swearing, no raunchy behavior, nothing over the top. It's just him dressing as a female doing a dance." "I can't believe it," continued Natalie. "I spoke to the headteacher this morning (Tues) and she asked if I was removing him from the school because I wasn't happy with the decision. I said no. Why should he miss out on his education because of their views." "We understood Lewis wanted to appear in the style of Rau Paul [SIC], whose style of performance is characterized by strong language and sexual innuendo. We invited Lewis to appear in the show as a singer and were happy for him to dress in any manner he wished. This decision was made one day before the planned show, when the full nature of his performance was made known. We regret we did not communicate this earlier but stand by our belief that it is not appropriate for young people to perform drag acts. Rau Paul’s own TV show requires contestants to have a minimum age of 18 years old." The principle also added: "We respect the long tradition of female impersonation in theatre, however, to appear as a drag queen, goes beyond this. Our decision was entirely made on the basis of age appropriateness, with sensitivity to both Lewis and to his fellow students."